So Celebration is well worth the trip on that score alone: if it weren’t for conventions, I’d join Sith Lord Daiman from Star Wars: Knight Errant in thinking that the rest of the universe was all in my head. Another fun thing, though, is seeing some of the unusual Star Wars-related eclectica that’s out there — things that I’ve never seen or have forgotten about. And sometimes, people bring them directly to me. Now, most things people put in front of me for signing are products I actually worked on, which is nice; I never know what to do when people show up with the Sports Illustrated Swimsuit Issue. (I can’t even fit into that suit any more!) But just about once a signing, somebody brings something that I haven’t seen. Like the Greek printing of the first Star Wars: Knights of the Old Republic comics volume, which I saw for the first time on Free Comic Book Day this year. (When he’s speaking in Greek, Lucien Draay looks even more like he belongs on a pedestal in the Parthenon!) It really brings home that Star Wars has a worldwide reach. I’m expecting to see even more farflung rarities at Celebration. Music and a poster. In 1977, my sister worked in the record section of department store; not surprisingly, a lot of promo posters came through. But purchasers of the original soundtrack LP may remember the cool Death Star space battle poster by John Berkey, which was folded inside the albums. I don’t care if there are two Millennium Falcons on it — I still prize that poster, fold-marks and all! Even as a kid, though, I was never quite down with trading cards in loaves of bread. They weren’t packaging the cards separately back then in plastic overwrap, so they were just there, exchanging molecules with the bread for as long as they were on the shelves. Still, y’know, free cards, right? Well, not really for me. As a rugrat, I had bought in when Topps did a promotion inserting Wacky Packages in bread — only later to realize that the bread caused the stickers to get all wilty and stained. Thus burned, when a similar deal came around with a set of Star Wars cards inserted in 1977 Wonder Bread loaves, I told Mom to pass. Which explains why, when I discovered one of the Wonder Bread Star Wars cards last month, I was at a loss as to what the heck the thing was. Fortunately, the Internet was at hand. The earliest Star Wars video game — well, not really! 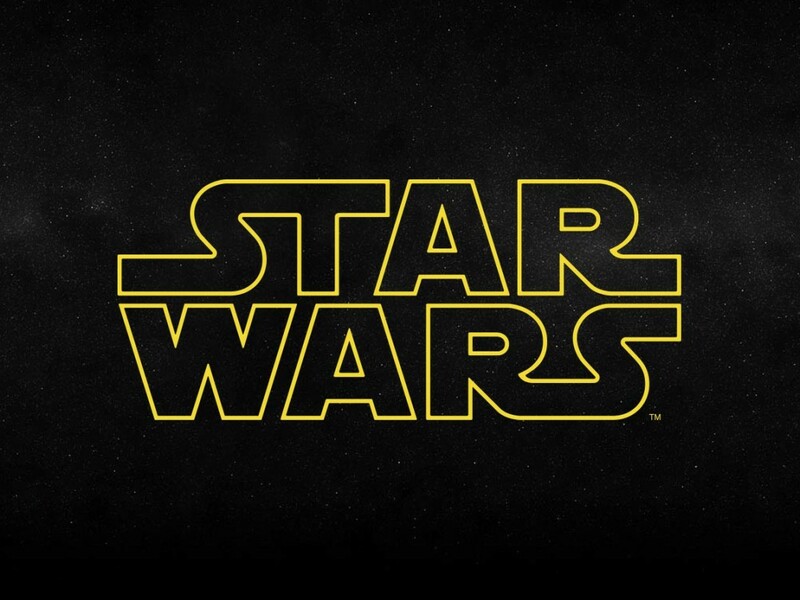 Wikipedia will tell you that the first Star Wars home video game was The Empire Strikes Back for the Atari 2600 in 1983 — the same year Atari released the console and sit-down Star Wars shooters for the arcade. I remember an earlier one that was very popular in my school in 1982, however — although there’s a key difference: it was almost certainly unauthorized. At the dawn of personal computing, a lot of software only existed on mainframes. So there really didn’t seem to be any commercial threat to Paramount when in 1971 programmers created the game that would later become known as “Super Star Trek,” a grid-based text game in which the player hunted Klingon warships. Copies of the game proliferated, and the studio eventually granted permission for the game’s code to be reprinted for others to — yep — key in. By the early 1980s, with a software market still developing for home computers, “sneakerware” was the main means of distribution for these homebrew games: literally, we ran back and forth between the floppy drives of different computers, transferring files a whopping 16k at a time. And one of the most popular sneakerware games in our school’s computer lab was something for the Apple II called simply “Star Wars.” I saw it many times in later years, suggesting to me it was pretty widely distributed. I haven’t cracked out my Apple II to examine it in a while (though being an Apple, it still works) but the game was a text adventure written in BASIC that built upon the original hide-and-seek format of the groundbreaking “Hunt the Wumpus” computer game. The code defined a floorplan for the Death Star, and, as Luke, the player had to move from one room to another, accomplishing certain tasks. Gathering Princess Leia and the droids, locating his lightsaber and blaster and deactivating the tractor beam — all the while avoiding the horrible moment when the terminal would announce in flashing letters “DARTH VADER HAS ARRIVED.” No graphics — but some nifty lightsaber and blaster sound effects coaxed out of the Apple’s speaker. I can’t find anything online about it, and as a homebrew game, it doesn’t fit on any list of Star Wars products. But it’s one of those shared memories some of us have. Fans were so eager for Star Wars video games, they weren’t willing to wait! The Saga Continues… Special Introductory Price! 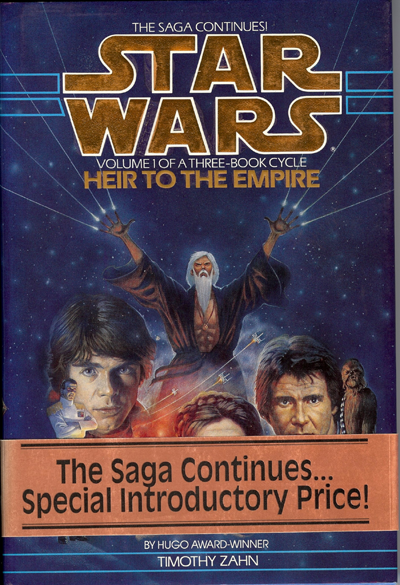 I was very excited in the summer of 1991 to pick up Heir to the Empire by Timothy Zahn; the novel gave a shot in the arm to the Star Wars universe, and served as a launching point for a new wave of licensed fiction. I’ve seen a lot of copies for sale at conventions in later years — but I’ve never seen one I consider complete. That’s because the hardcover copies at Waldenbooks (and perhaps other stores) had a gold-colored paper overwrap outside the bookjacket — a little more than an inch tall, it had a black and white thumbnail of the cover on the spine and screamed “The Saga Continues — Special Introductory Price!” on the cover and back cover. Just a sales tool and not part of the book, right? Well, not if you’re an obsessive-compulsive collector like me. The ribbon had Bantam labeling and came from the publisher — so obviously, it was part of the book. I never removed mine. My brush with knockoffs. Over the last few years, I’ve been fortunate to work on a broad range of Star Wars licensed products — comics, prose, and games. 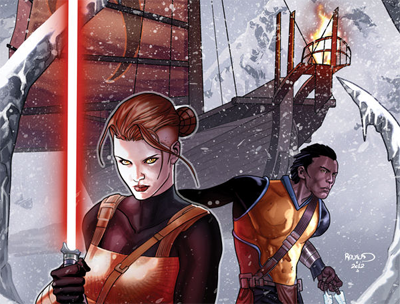 In comics, the third Knight Errant series, Escape, is continuing in stores now; the Lost Tribe of the Sith spinoff, Spiral, has just launched; and Knights of the Old Republic sees its tenth volume releasing later this year. On the prose side, there’s the just-released Lost Tribe of the Sith – The Collected Stories, as well as the Knight Errant novel — and there were even some games, including work for the Star Wars Roleplaying Game. But I was writing about Star Wars for years before I was writing for the franchise — in articles for my own fanzines, and later for Comics Buyer’s Guide and Scrye: The Guide to Collectible Card Games. 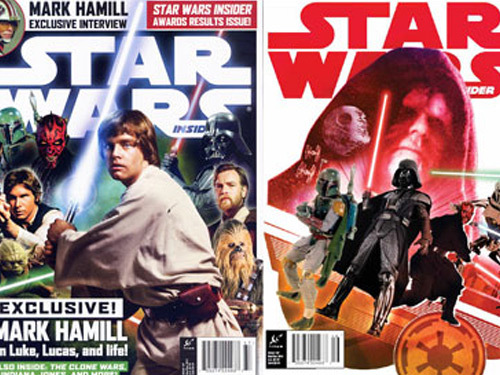 So while Star Wars: Empire #35 in 2005 was the first licensed product I was involved with, the first full-sized publication I was a part of with Star Wars on the cover was actually an unauthorized collector’s magazine with the unwieldy title of Toy Shop Presents: Star Wars Collectibles, which I spent several months editing in 1999 for Krause Publications. Released just before The Phantom Menace (for maximum craven commercial impact, naturally), the magazine republished a lot of our company’s magazine articles on various collectibles — including my own walkthrough of the Marvel Star Wars comics line. It also reprinted San Diego Comic-Con co-founder Shel Dorf’s interview with Harrison Ford, conducted for Comics Buyer’s Guide’s precursor, The Buyer’s Guide for Comic Fandom, in 1977 — likely one of his first fan-publication interviews. And, of course, there was the requisite price guide, which I remember as a big pain in the neck for me and my coworkers to lay out. The world of “Unofficial Guides to” is an odd shadow-realm of publishing. 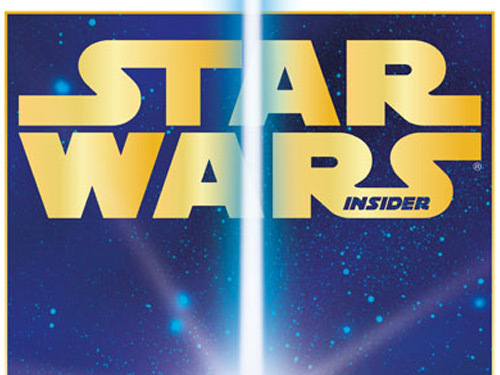 You can’t use trademarked logos that would indicate official approval, so the movie title appeared in flat, dull lettering; it is a strange 1999 Star Wars magazine indeed that does not mention the words The Phantom Menace or Episode I on the cover. This one didn’t! And since we had to keep to the legally safer ground of writing about collectibles people already owned, the cover was not a movie scene, but just a pile of stuff from my personal collection. It was just one of a number of products like that, but I did my best to make it interesting. The publisher did eventually run it by Lucasfilm just in case, but so few copies were circulated that I think no one cared. I believe most copies are now in my garage, saved by me from the Dumpster. 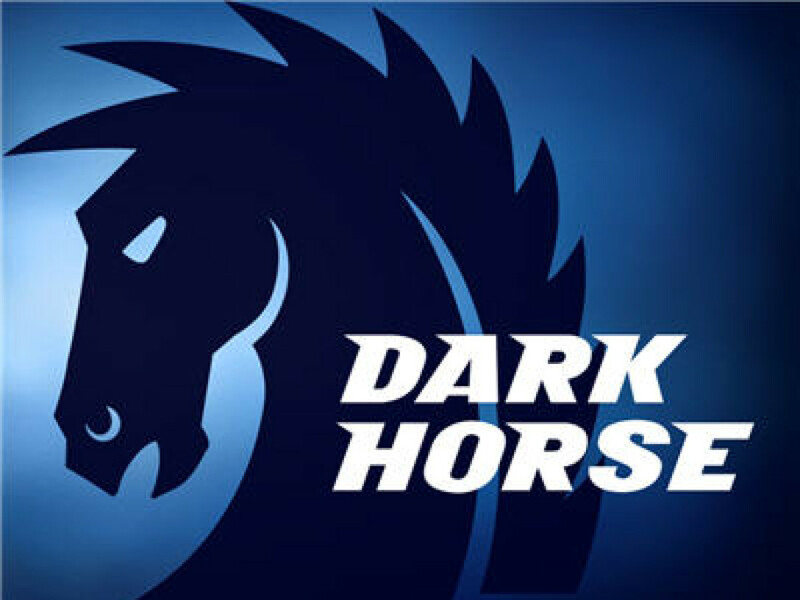 (Which is, incidentally, also a trademark!) If anyone brought me one to sign, I’d probably fall over dead. Be sure to check out some of the other goodies at the Del Rey booth and at Dark Horse — where they’re offering a free Star Wars: Lost Tribe of the Sith—Spiral mini-print (while supplies last). Tates.com is also offering an exclusive variant Lost Tribe – Spiral #1 just for the show. I’ll also be at TheForce.net opening night party. Follow me on Twitter to get scheduling updates. If you’re in Orlando, be sure to drop by — and bring your own odd trivial items I’ve never seen! 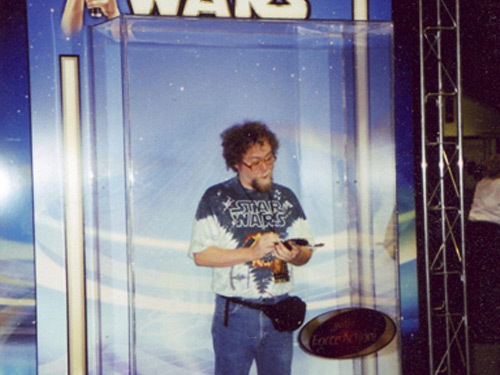 John Jackson Miller is the author of more than a dozen Star Wars graphic novels and prose books. His fiction website is farawaypress.com. He also writes about comics collectibles on his website, The Comics Chronicles.